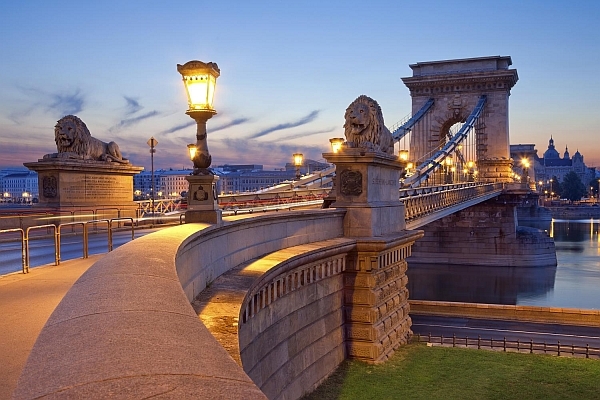 More cosmopolitan than Prague, more romantic than Warsaw and more beautiful than both, Budapest straddles a gentle curve in the Danube, with the Buda Hills to the west and what is essentially the start of the Great Plain to the east. With parks brimming with attractions, museums filled with treasures, pleasure boats sailing up and down the scenic Danube Bend, Turkish-era thermal baths belching steam and a nightlife throbbing until dawn most nights, the Hungarian capital is one of the Continent’s most delight ful and fun cities. And the human legacy is just as remarkable as Mother Nature’s. Architecturally, Budapest is a gem, with a wealth of baroque, neoclassical, Eclectic and Art Nouveau (or Secessionist) buildings. Overall it has a fin-de-siecle feel to it, for it was then, during the industrial boom and the capital’s ‘golden age’ in the late 19th century, that most of what you see today was built. In some places, particularly along the Nagykörút (Outer Ring) and up broad Andrássy út to the sprawling Városliget (City Park), Budapest’s sobriquet ‘the Paris of Central Europe’ is well deserved. Nearly every building has some interesting detail, from Art Nouveau glazed tiles and neoclassical bas-reliefs to bullet holes and shrapnel scorings left from WWII and the 1956 Uprising. At times, Budapest’s scars are not very well hidden. Over the years, industrial and automobile pollution has exacerbated the decay, but in recent years the rebuilding and renovations have been nothing short of astonishing. Indeed, some people think the city is tidying itself up a bit too quickly. 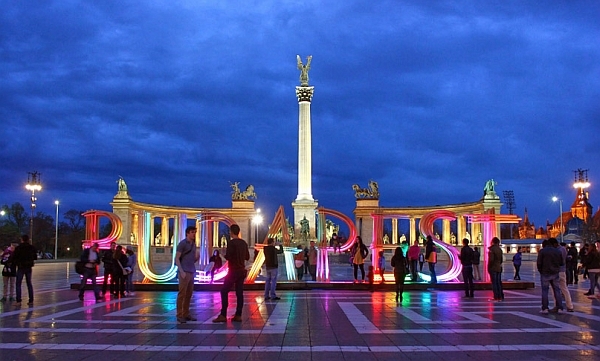 Yet Budapest remains – and will always stay – Hungarian: exotic, sometimes inscrutable, often passionate, with its feet firmly planted in Europe but with a glance every now and then eastward to the spawning grounds of its people. Budapest is fabulous, romantic and exciting at any time, but especially so just after dusk in spring and summer when Castle Hill is bathed in a warm yellow light. Stroll along the Duna korzó, the riverside embankment on the Pest side, or across any of the bridges past young couples embracing passionately. It’s then that you’ll feel the romance of a place that, despite all attempts – from both within and without – to destroy it, has never died.